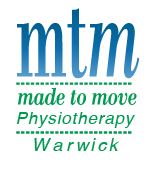 Situated in the brand new Warwick Stadium, MTM Physiotherapy Warwick is well placed to provide all of your Carine Physiotherapy needs. MTM Physiotherapy is a trusted name for Physio in the northern suburbs where we have been practicing for over 20 years, our methods and management are well established as we routinely exceed client expectations. Our home at Warwick Stadium means we are frontline practitioners that not only treat sports injuries but a variety of musculoskeletal issues and chronic pain clients. We offer the best Physiotherapy experience in Perth with high quality friendly and approachable Physiotherapists and admin staff who only want to see you improve your quality of life. MTM Physiotherapy Warwick are proud to provide services to the players, parents and community of the Doubleview Carine Cricket club, furthermore our Physiotherapists regularly treat players at the Carine junior and senior football clubs. As well as this local exposure to the Carine area, we also look after Senators Basketball, Northern Stars Volleyball, WAIS and the WA Football commission state teams. At a national level our physiotherapists routinely assist with visiting NBL clubs. Because of this exposure we have had great experience dealing with all kinds of sporting injuries and will be able to put in place an effective management plan to rehab you or your dear one’s injuries. Your experience at MTM Physiotherapy Warwick will include a detailed assessment using a combination of the facilities at the stadium not just our treatment rooms. Your management may include dry needling, massage, mobilisation, exercise prescription and stretching. Furthermore we will also ensure that you are given the advice to self-manage at home, we never want you to rely on hands on treatment to get you better! We have access to the state of the art Warwick Workout gym and will ensure that your rehabilitation will prepare you for return to sport or to your maximal function for your day to day lifestyle.